Satellite imagery could one day be used to continuously monitor ground displacements over vast areas – helping engineers ensure the integrity of infrastructure such as railways and highways. A team of engineers from Birmingham and Southampton universities will spend the next three years developing and testing a device that will rely on the reflected electromagnetic signals from global positioning satellites to detect ground movement. Southampton civil engineer Joel Smethurst, one of the project investigators, said the technology could be used, for example, to determine how landslides affect the movement of railway lines. 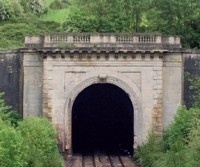 It could also be used for monitoring the effects of major tunnelling projects – such as London’s Crossrail – on above-ground infrastructure, he added. The technology – known as Passive Interferometric Space-Surface Bistatic Synthetic Aperture Radar (PInSS-BSAR) – involves a stationary receiver fixed on the ground, with imaging antennae pointed towards the area being monitored. As a satellite moves over the surface, it will generate an electromagnetic ranging signal illuminating the observation area. The signal will be reflected by the Earth’s surface and received by the radar antennae. By using two antennae, one fixed above the other, it will be possible to calculate the change in displacement in the vertical direction. Smethurst said PInSS-BSAR could one day replace or work with traditional geo-technical instrumentation such as inclinometer probes that measure the tilt of slopes. Other techniques include differential GPS permanently installed on site to measure ground movement. Inclinometer probes can be problematic because they can only monitor a small area and they are expensive. GPS, added Smethurst, suffers limitations because some locations such as valleys or areas of large vegetation may not get a good signal. Smethurst also said that the range of the PInSS-BSAR system is expected to be kilometres, and it will monitor continuously to hopefully provide effective early warning of excessive displacements. The prototype PInSS-BSAR device will be tested against existing conventional surface displacement instrumentation already installed to monitor two large failing infrastructure slopes. We hope this technology proves to be practicable and affordable. Ground settlement profiles for tunnelling projects are essentail but often very diffcult to measure in built up areas. I will be sure to keep a close watch on this development work.